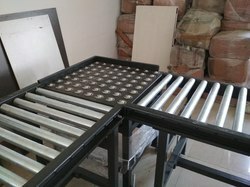 Leading Manufacturer of ball transfer tables from Coimbatore. We manufacture Ball Transfer Tables for various applications. The table shown in this Photo is used for perpendicular Pallet transfers in a Assembly line.